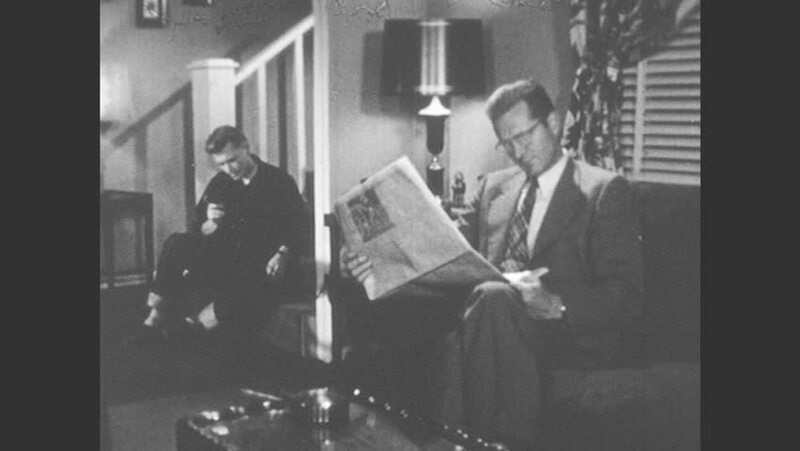 1950s: teenage boy sits on steps, quietly hangs up phone and sneaks up staircase as man reads newspaper on living room sofa. girl raises hand in classroom and talks to woman. hd00:30CIRCA 1919 - General Harbord meets Armenian priests at a train depot. hd00:151950s: Man wears suit, stands on the grass and walks away. Man with special glasses puts the weights on the ground, the old professor walks him near a blackboard and points at it. hd00:25UNITED STATES 1940s: Kids decorating house / Kids discuss, girl picks up garland, zoom out, boy enters with ladder / Boy sets up ladder. hd00:231950s: Two women sit at desk with man, talk to man. Man holds newspaper, talks. Papers run through newspaper press. Newspapers and headlines. Woman and men sit at table, talk.